A bill that would let law enforcement pull over Florida drivers they see texting and driving is moving closer to becoming law. House Bill 107, filed by state Rep. Jackie Toledo, R-Tampa, was passed unanimously by the Transportation and Infrastructure Subcommittee. The bill will now go to the House Appropriations Committee. 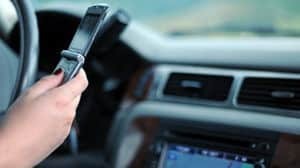 The new proposed bill would shift texting while driving from a “secondary” offense to a “primary” offense. The Senate proposal would begin with a public-awareness campaign, with warnings being handed out to violators from Oct. 1 through the end of the year, at which time citations would start to be issued. Click HERE to read more.